I’m not sure if this is a thing that people do, but I usually don’t let that slow me down. 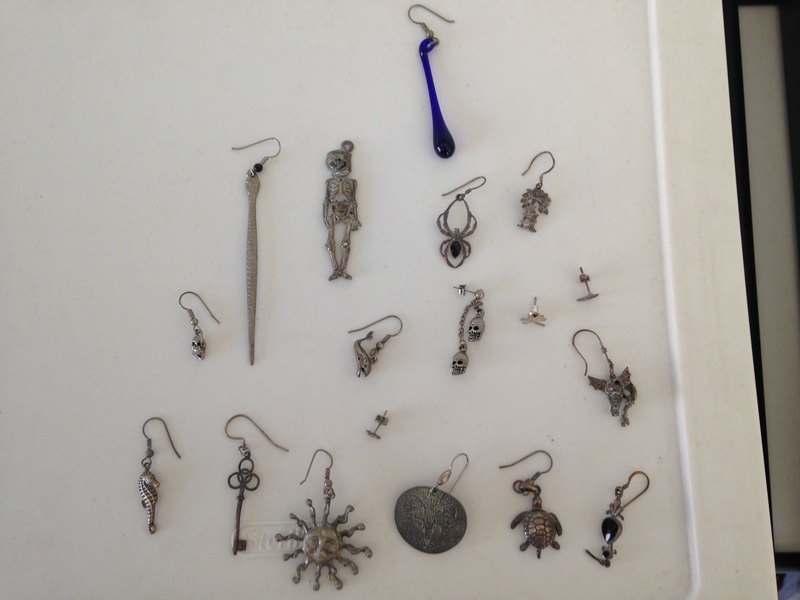 In an effort to reduce the number of physical possessions I have – that I have no real use for – I am getting rid of my earrings. Maybe you like one or more of these and would like it/them. If so, lemme know. I have not worn an earring in more than a decade. My ear was always super sensitive, anyway, so it’s probably just as well.